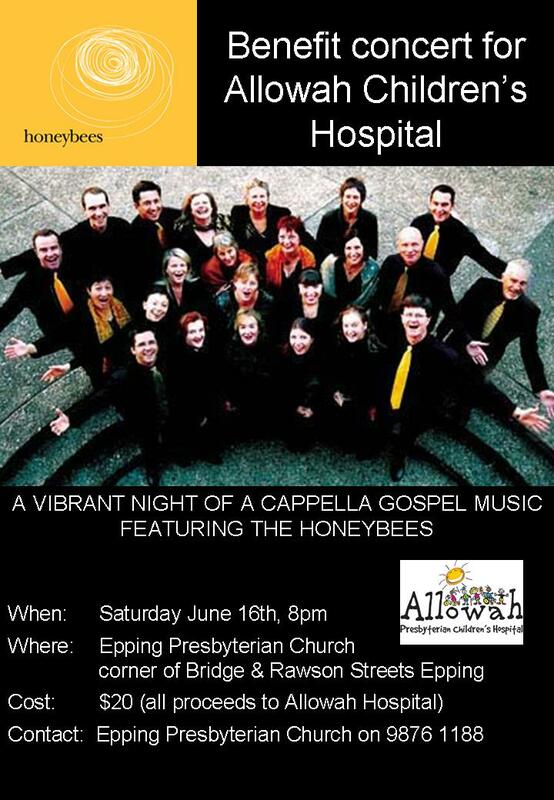 June 2007: Honeybees Benefit Concert for Allowah Children's Hospital. 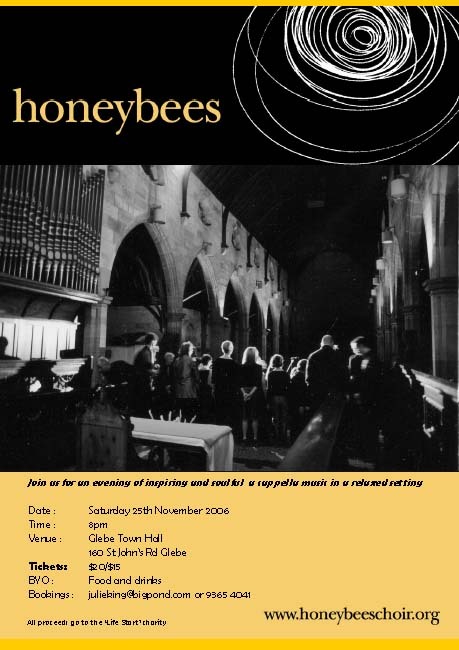 May 2007: Honeybees Concert at Glebe Town Hall. 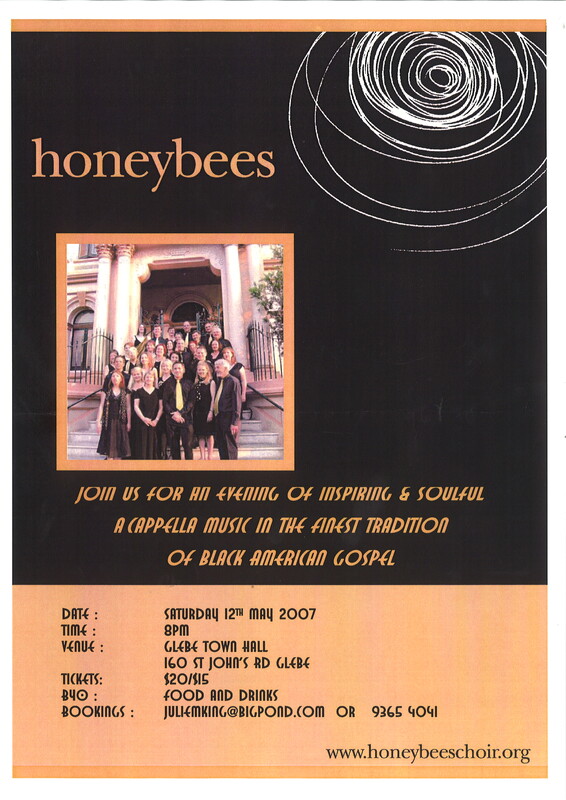 November 2006: Honeybees Christmas Concert at Glebe Town Hall. 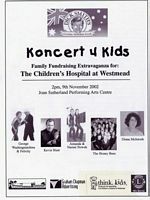 A fundraiser for the charity Lifestart. 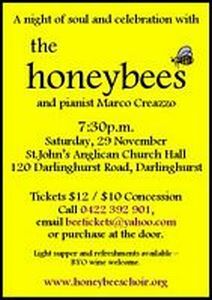 November 2003: The Honeybees with special guest Marco Creazzo on piano. 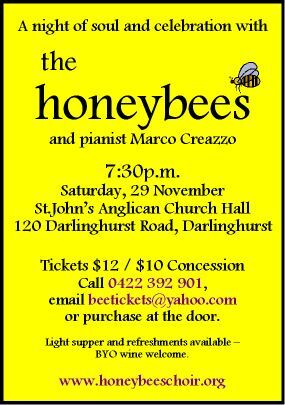 The Bees performed in a relaxed "club" format at St John's Church Hall, Darlinghurst. 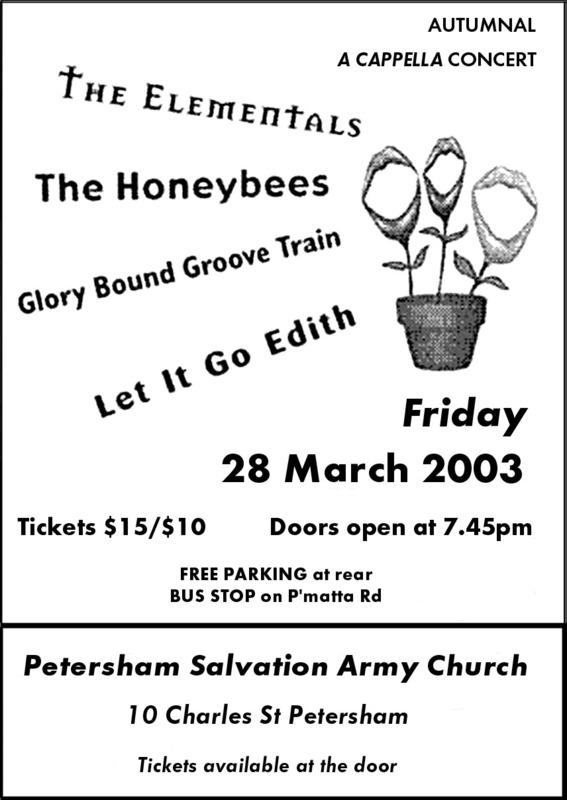 March 2003: supporting The Elementals at Petersham Salvation Army Church Hall, Petersham. With Glory Bound Groove Train and Let It Go Edith. 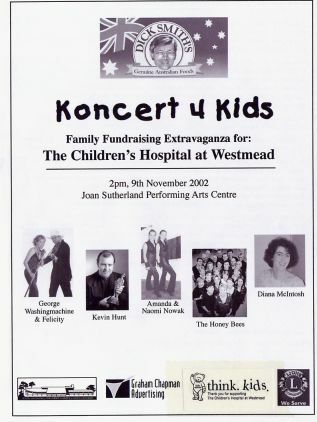 November 2002: fundraiser for Westmead Children's Hospital at The Joan Sutherland Performing Arts Centre, Penrith. With George Washingmachine, Kevin Hunt, Diana McIntosh and others. 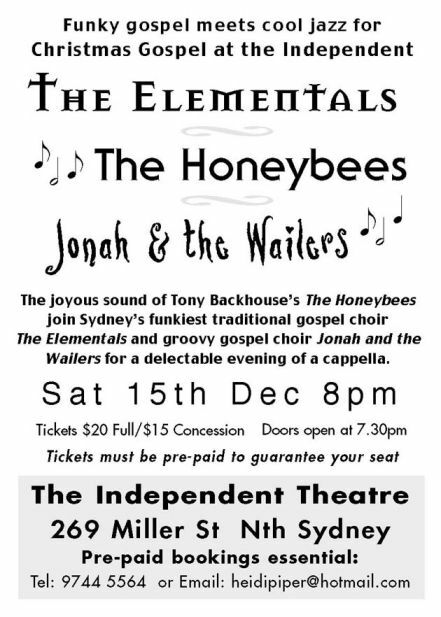 December 2001: supporting The Elementals at The Independent Theatre, North Sydney. With Jonah and the Wailers. 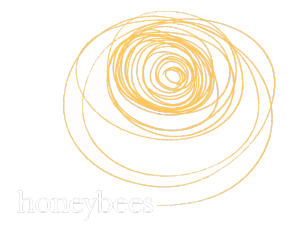 Tony B's last gig with the Bees! 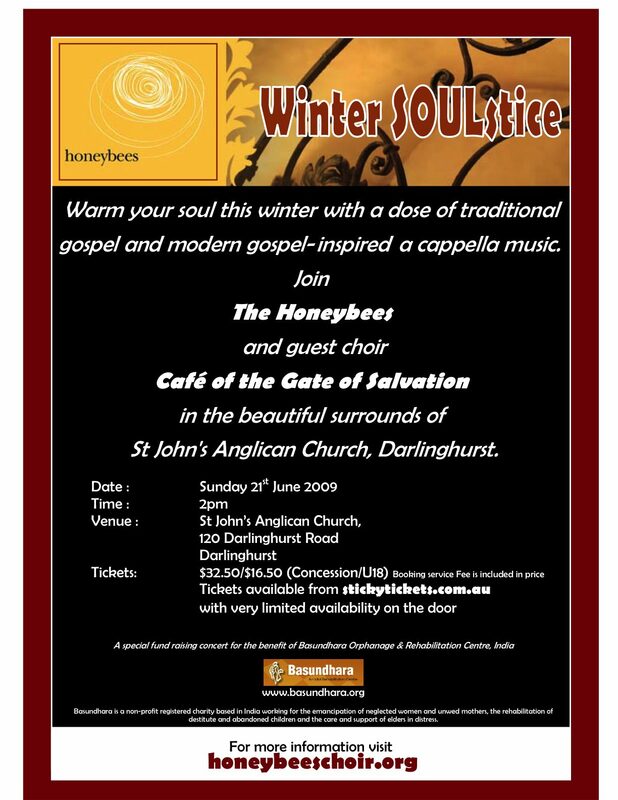 September 2001: The Honeybees solo show at the Bondi Pavilion. 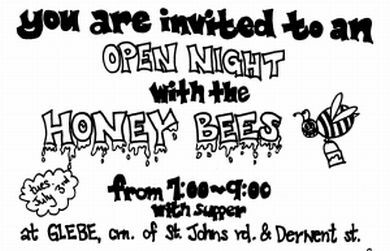 July 2001: The Honeybees open night, at St John's Church Hall, Glebe.